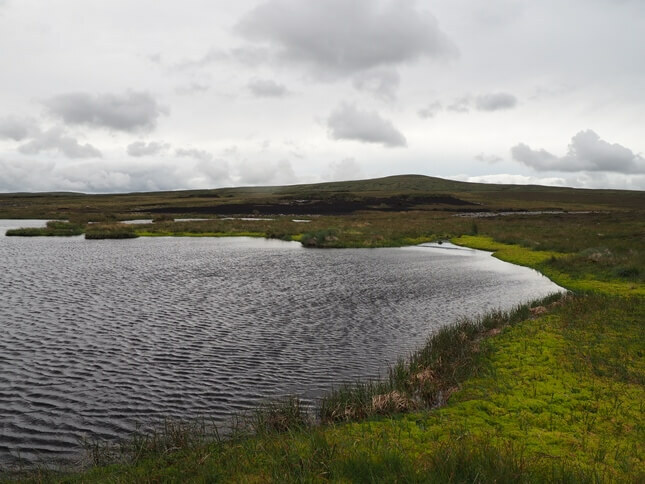 The Lodge Tarns are a pair of tarns that are found high on Lodge Hags, a peaty plateau to the north-west of the summit of High Seat near Uldale Gill Head. My first visit to these two tarns was a walk up Uldale Gill on to High Seat. With the exception of the odd sheeptrod it was pathless almost the entire way. After climbing out of Uldale Head I followed the clear course of a stream south-east for five minutes or so before turning east to visit the tarns. The first proved to be quite sizeable with good views of Great Shunner Fell and High Seat. 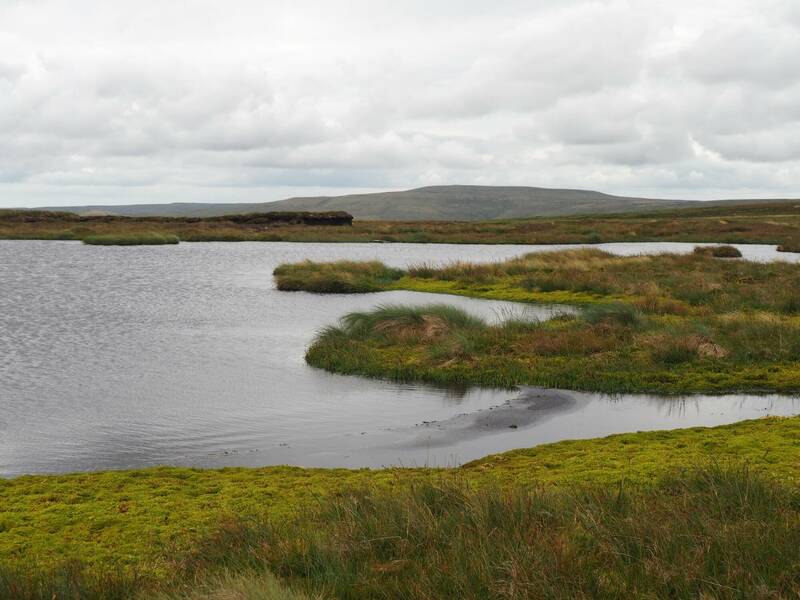 The second tarn was less attractive although it did seem to have some resident ducks. 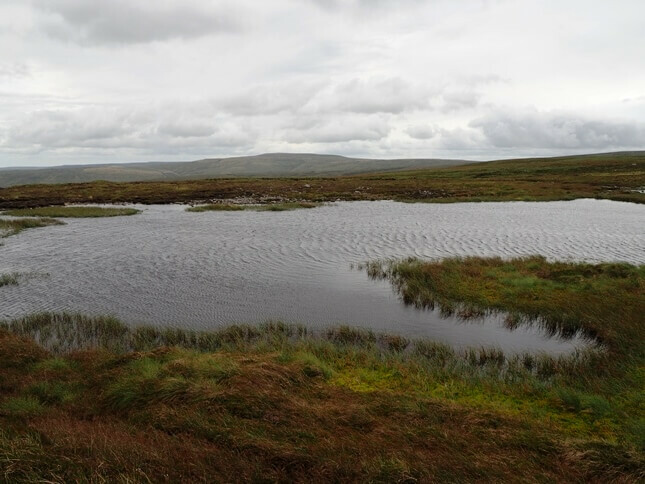 Scattered around the two mains tarns are a number of smaller pools. 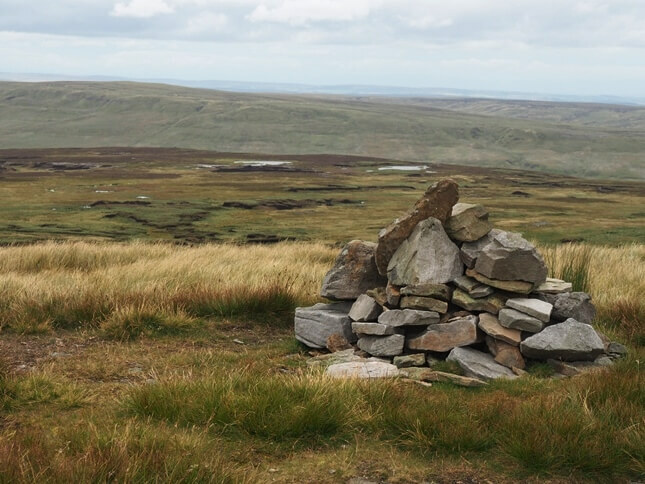 Both tarns can clearly be seen from the northernmost of the three cairns that adorn the summit of High Seat. The direct route from the tarns to the top of High Seat is quite rough underfoot and should be avoided in hill fog as Lodge Hags is quite an extensive area with plenty of bogs.